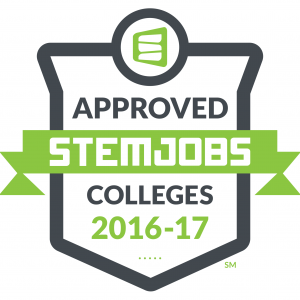 ECPI University is honored to be a STEM Jobs℠ Approved College, a distinction which recognizes the University as not only a college centered on STEM-related programs, but also one that aligns its curriculum and career services with professional career tracks. In addition, ECPI University has been recognized with a 2016 Industry Award for being among the best at training and preparing graduates to enter STEM fields. STEM – Science, Technology, Engineering, and Mathematics – is an acronym that has received a great deal of attention in recent years. In fact, many schools are working tirelessly to integrate “STEM” into every bit of their communications and printed material. Yet, while the curriculum that embodies STEM is tremendously important, it is virtually useless unless it is linked to real-world applications and aligned to actual career paths. ECPI University believes that the best graduates are produced through hands-on, practical instruction that reinforces theory. That's why 9 out of 10 employers say they'd hire another ECPI University graduate. Simply put, Victory Media’s STEM Jobs℠ initiative aims to encourage more students to pursue STEM-related careers by showing them a pathway forward. As a means of accomplishing this goal, Victory Media, along with an independent Academic Advisory Board, evaluate schools for inclusion based on a rigorous quantitative assessment. Those deemed STEM JobsSM Approved Colleges are considered to be the nation’s leading schools in preparing young people to pursue careers in STEM-related fields. 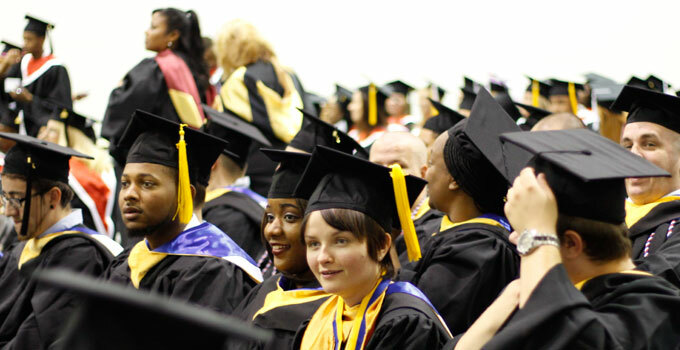 Each year, ECPI University is proud to have made the list. What Does It Mean to Be a STEM Jobs℠ Approved College? Many schools offer STEM degree programs, but they often fail to connect academics to real-world job requirements. STEM Jobs℠ Approved Colleges look at the job market and adapt their programs to meet those ever-changing demands. Every institution of higher learning has a primary mission. For some, it’s research; for others it’s community. For STEM Jobs℠ Approved Colleges, it’s preparing students for what awaits them after graduation. STEM career fields have historically lacked diversity, but STEM employers focus efforts on attracting greater diversity in order to lead in the global marketplace. STEM Jobs℠ Approved Colleges not only understand this, but they are actively working to introduce confidence to people who may have been previously alienated. Many schools through the years have taken pride in their dropout rates, using it as a symbol of academic rigor. STEM Jobs℠ Approved Colleges understand that an academic mission is about education, not elimination. They help STEM students thrive in challenging programs that lead to long-term success. ECPI University was dedicated to STEM education long before the term was even invented. A half-century ago, we were founded based on a lack of skilled computer programmers in a market needing to fill a growing number of jobs. Since then, we’ve added technology-focused curriculums in computer and information science, engineering technology, health science, nursing, business, and criminal justice. 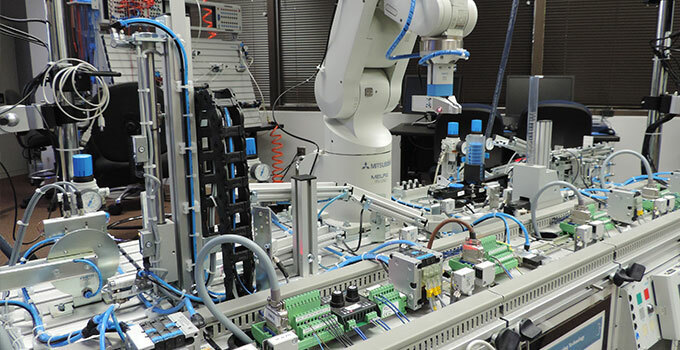 Each one of our programs integrate industry-standard technology into coursework to reflect the evolving role technology plays in each career field.